Chinese President Xi Jinping shakes hands with Russian President Vladimir Putin ahead of G20 Summit in Hangzhou, Zhejiang province, China, Sept. 4, 2016. Russia’s President Vladimir Putin has brought a box of Russian ice-cream as a gift to his counterpart Chinese President Xi Jinping. At the beginning of the bilateral meeting in Hangzhou on Sept. 4 the Russian president recalled how Chinese businessmen during a meeting in Vladivostok told him the Chinese love Russian ice-cream. "I have promised to you to bring some ice-cream," Putin said. "I have brought for you a box of it as a gift." 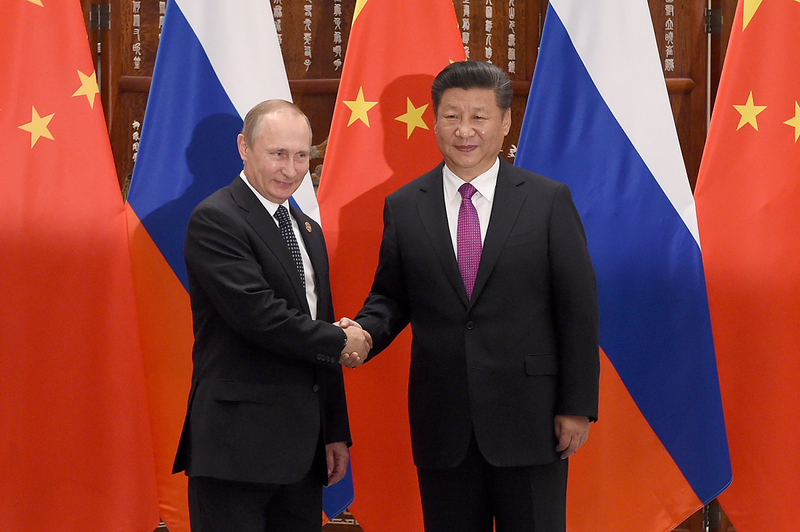 Xi Jinping thanked Putin for the ice-cream: "Thank you very much for the gift, for the tasty ice-cream," he said. "In my every trip to Russia I always ask to buy for me Russian ice-cream. And then, at home, we eat it. You have the best cream, and it makes it so tasty. I like it very much. Thank you for this courtesy."